After getting back from Indonesia we realized this might be our last winter in Montreal. Possibly our last winter with snow! As the snow was the perfect consistency to make a snowman we just put on our boots and mitts and did it! 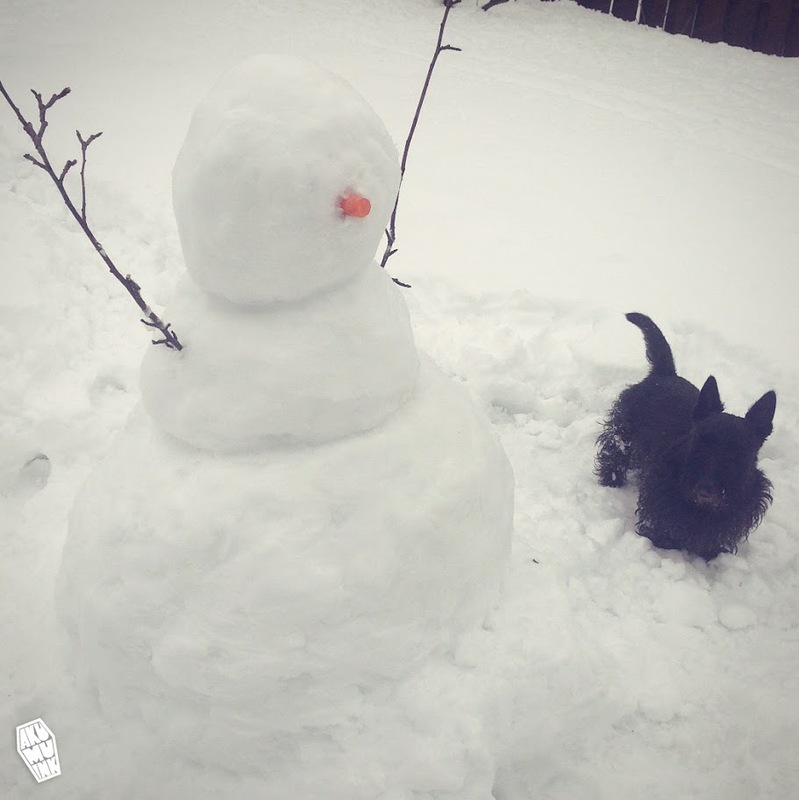 This was Dora's first attempt at a snowman in her entire life, and I gotta say I think we did a pretty good job. Now when we open up the blinds in our kitchen we got this creepy guy staring right back at us. It's always fun to just do something unplanned that's not work related for no reason at all, every now and again.